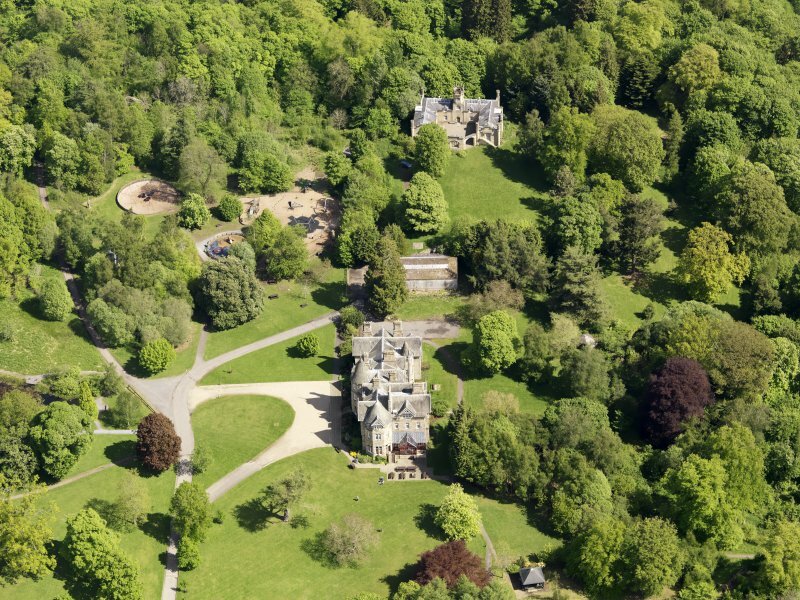 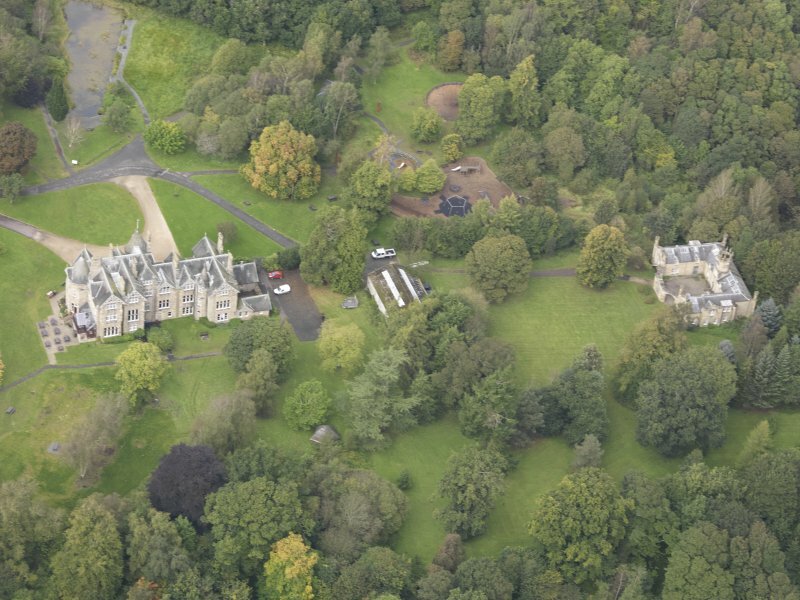 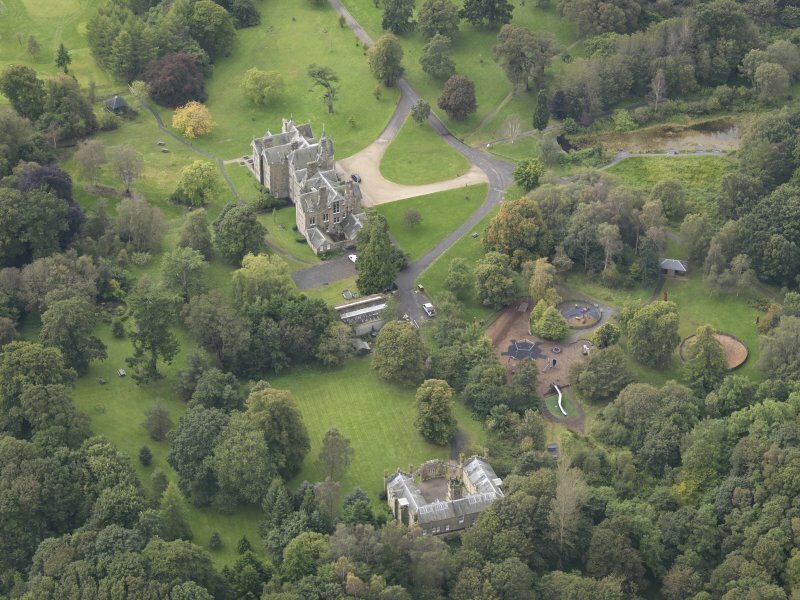 General oblique aerial view of Vogrie House with adjacent stables, looking to the SSE. 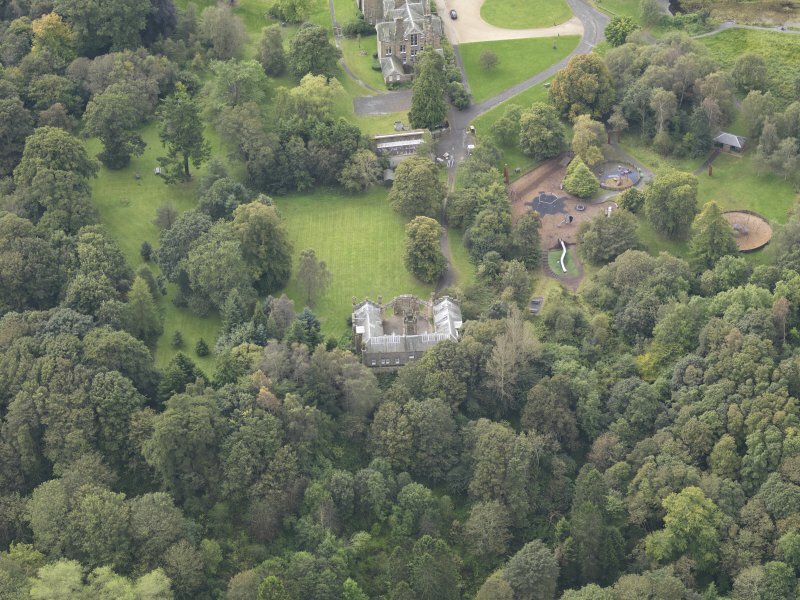 General oblique aerial view of Vogrie House with adjacent stables, looking to the SW.
Oblique aerial view of Vogrie House, taken from the SE. 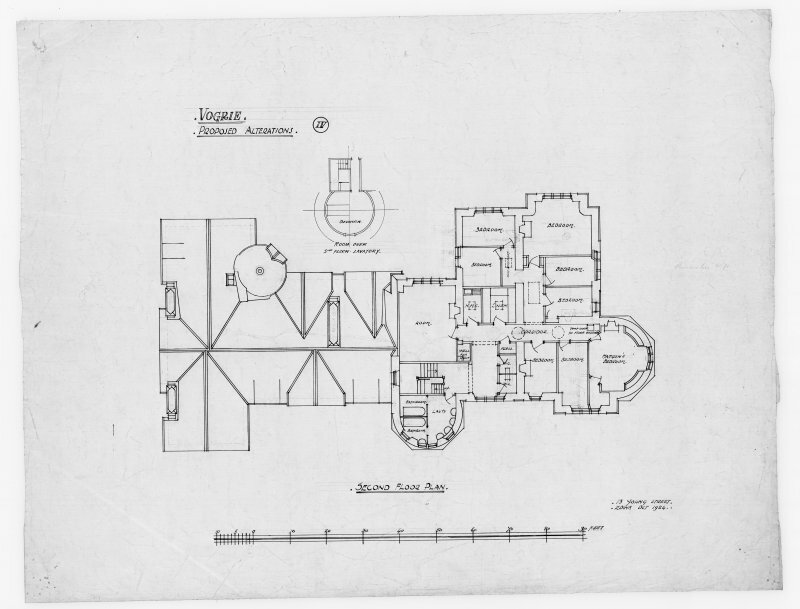 Basement floor plan and sections of heating chamber showing alterations for Vogrie House. 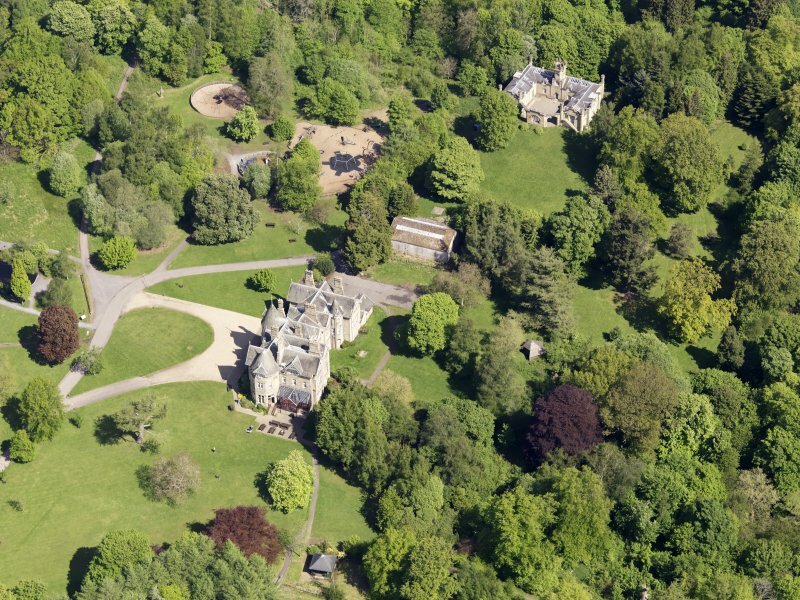 General oblique aerial view of Vogrie House with adjacent stables, looking to the NE. 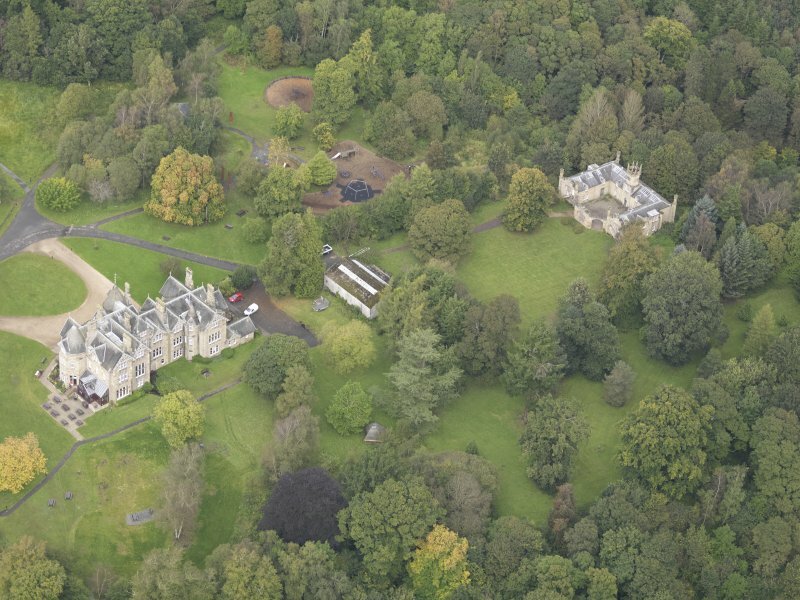 General oblique aerial view of Vogrie House with adjacent stables, looking to the SSW. 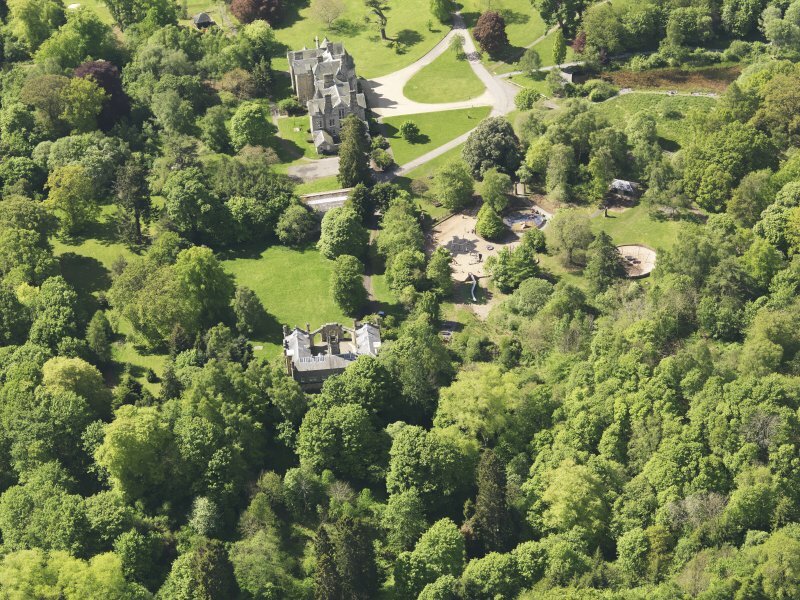 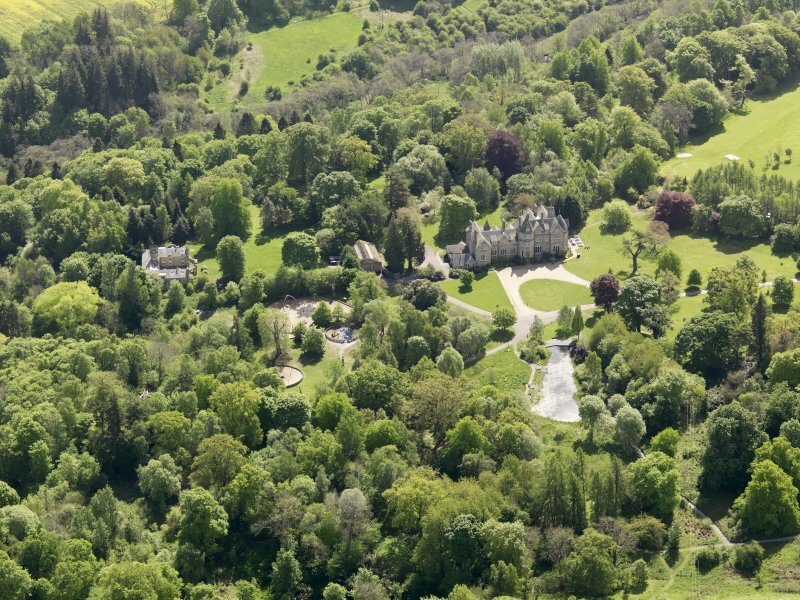 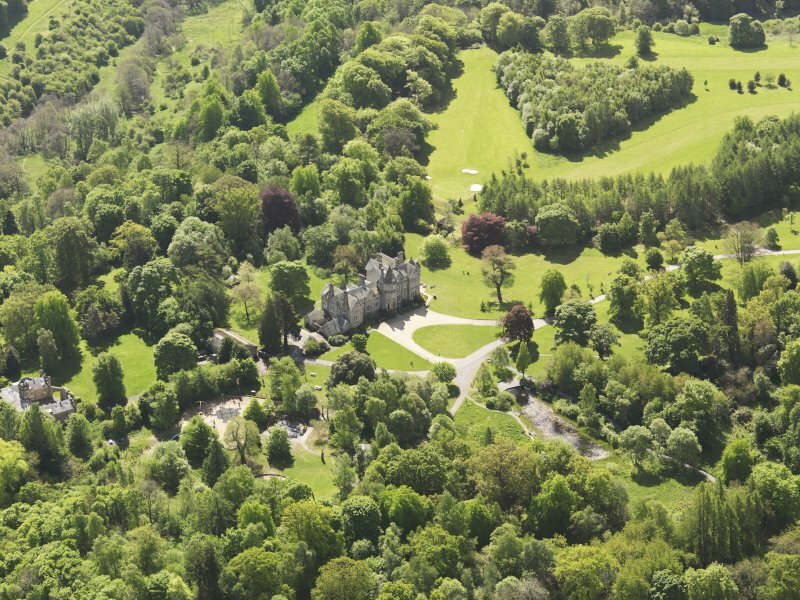 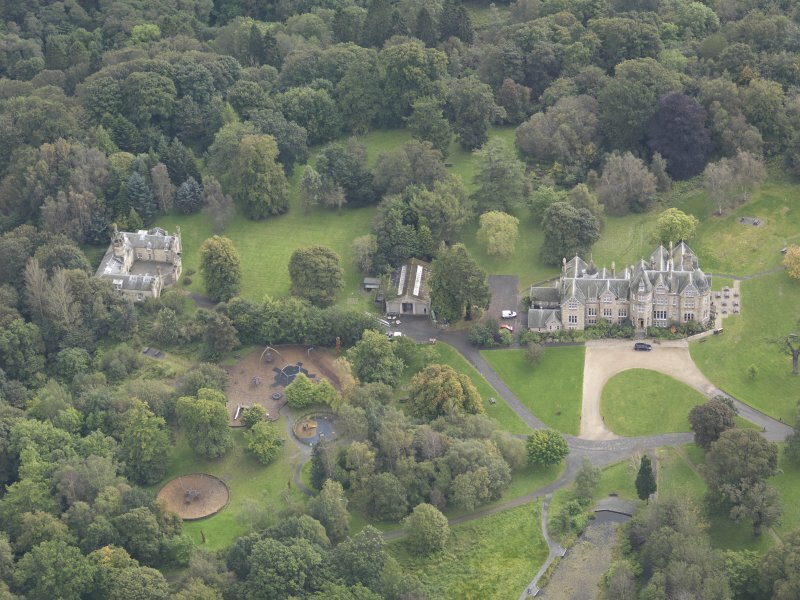 Oblique aerial view of Vogrie House, taken from the WNW. 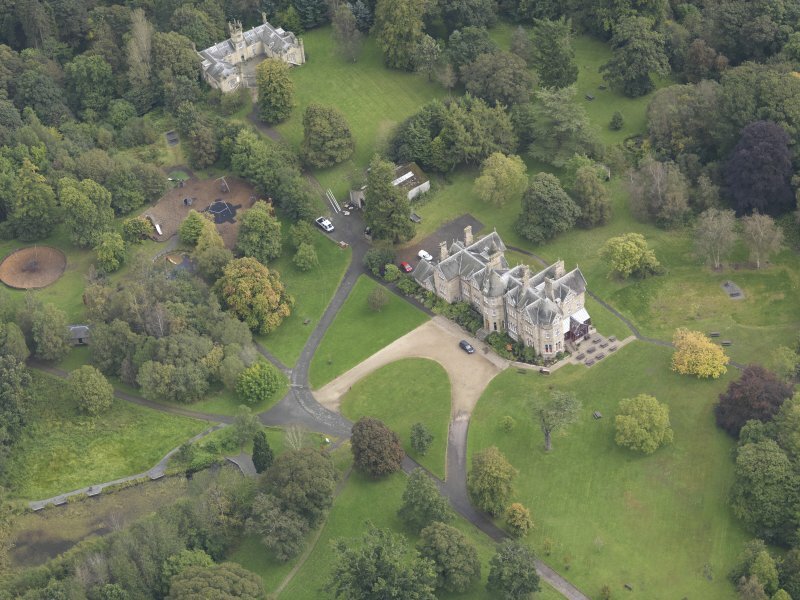 General oblique aerial view of Vogrie House with adjacent stables, looking to the ESE. 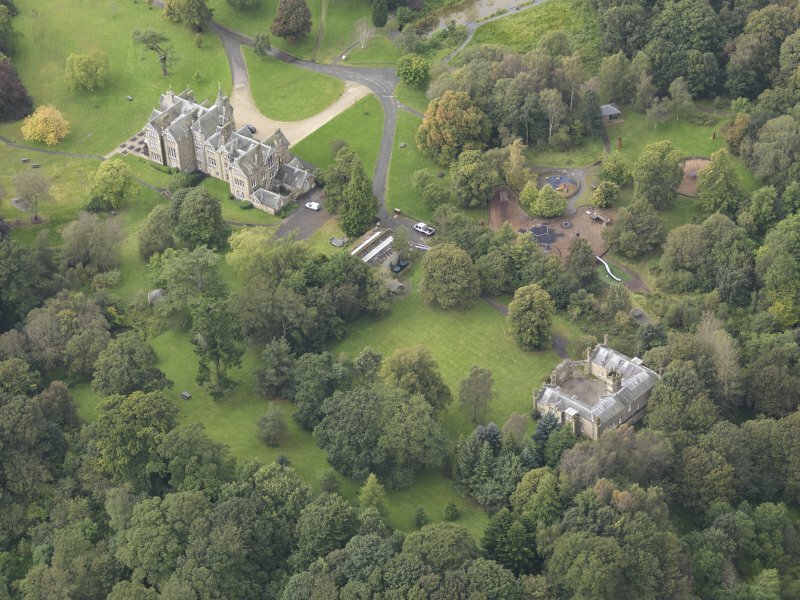 General oblique aerial view of Vogrie House with adjacent stables, looking to the S.
Oblique aerial view of Vogrie House, taken from the SSW. 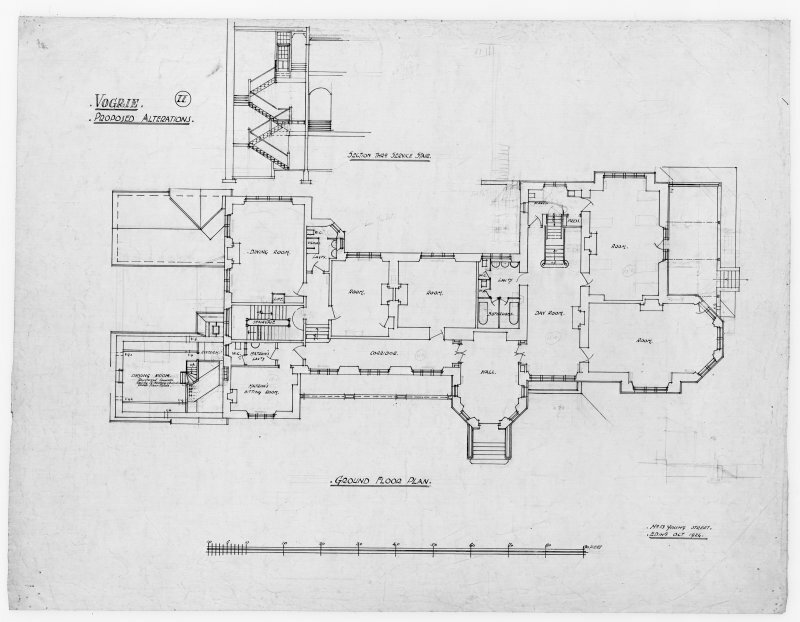 Second floor plan showing alterations for Vogrie House. 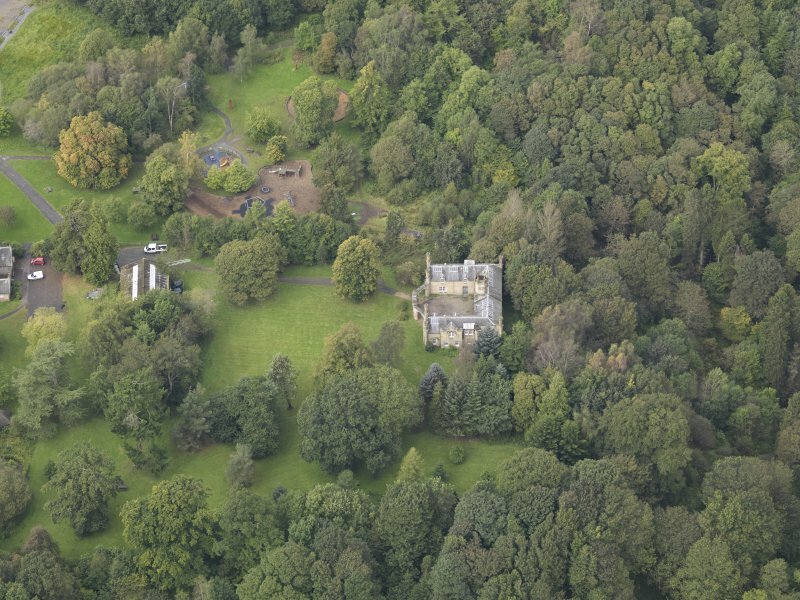 Oblique aerial view of Vogrie House, taken from the NW. 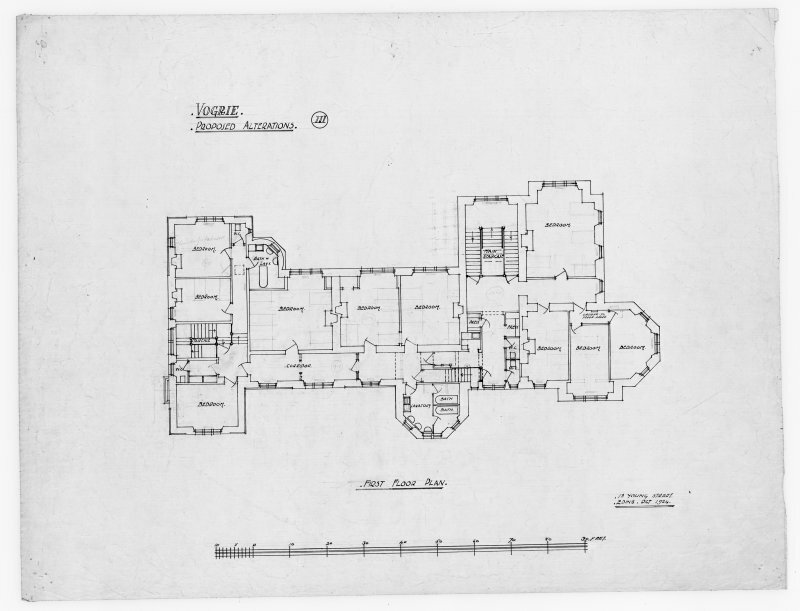 General oblique aerial view of Vogrie House with adjacent stables, looking to the W.
First floor plan showing alterations for Vogrie House. 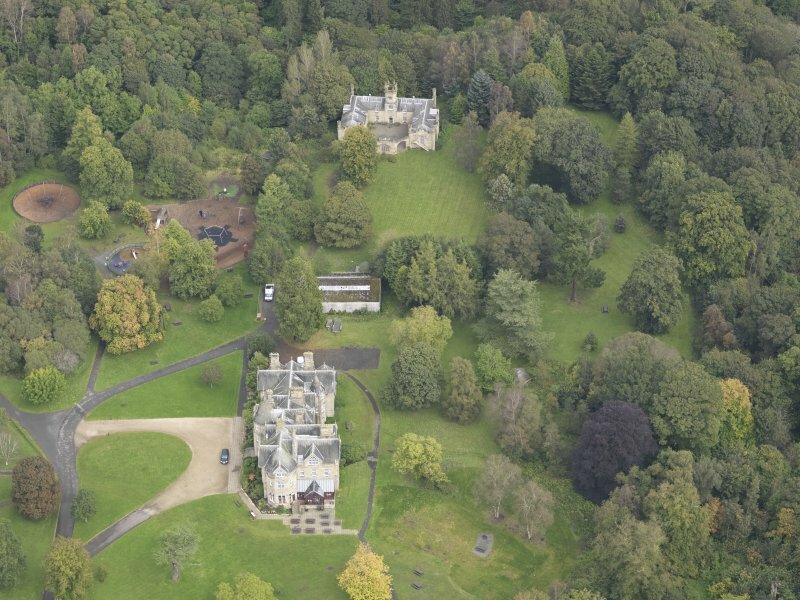 General oblique aerial view of Vogrie House with adjacent stables, looking to the E.
General oblique aerial view of Vogrie House with adjacent stables, looking to the NW. 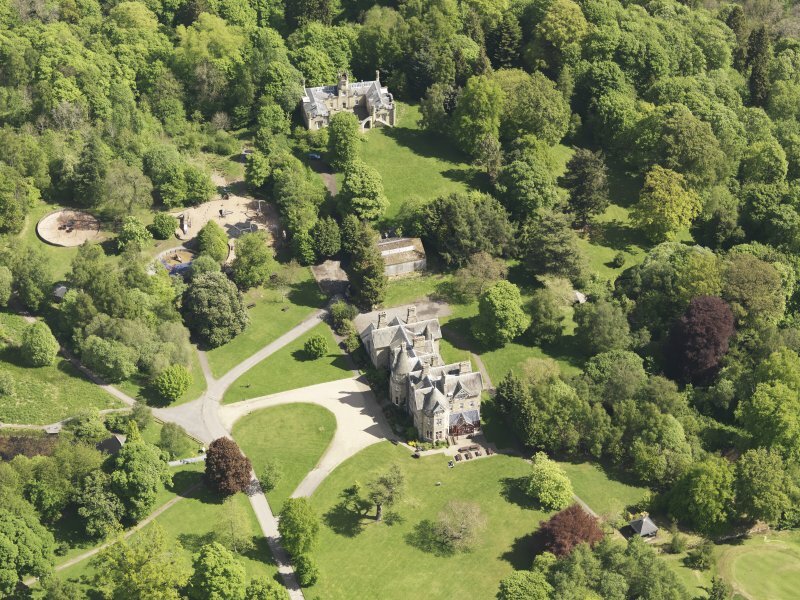 General oblique aerial view of Vogrie House with adjacent stables, looking to the WNW. 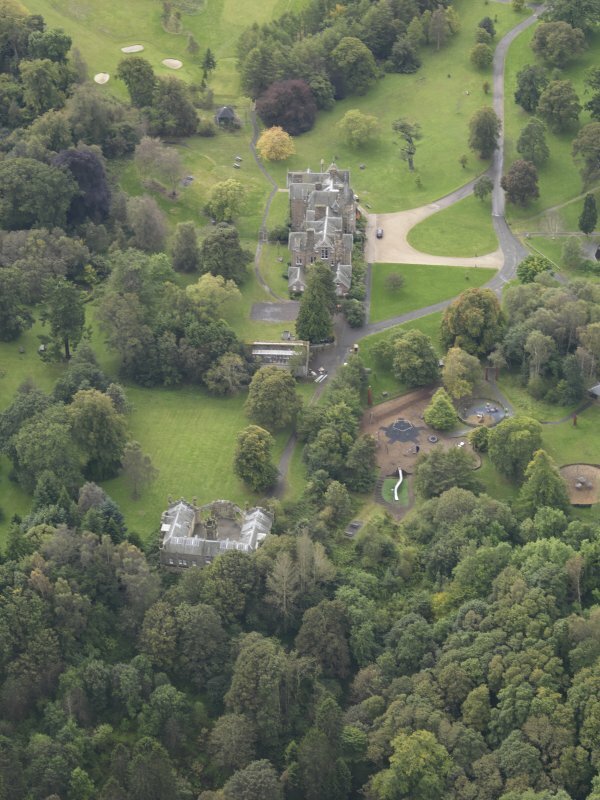 Oblique aerial view of Vogrie House, taken from the NNW. 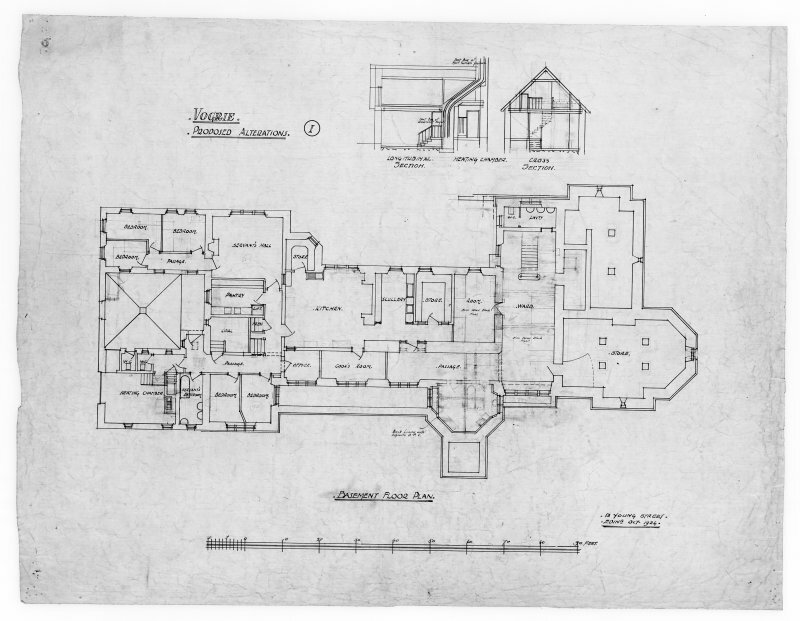 Ground floor plan showing alterations for Vogrie House. 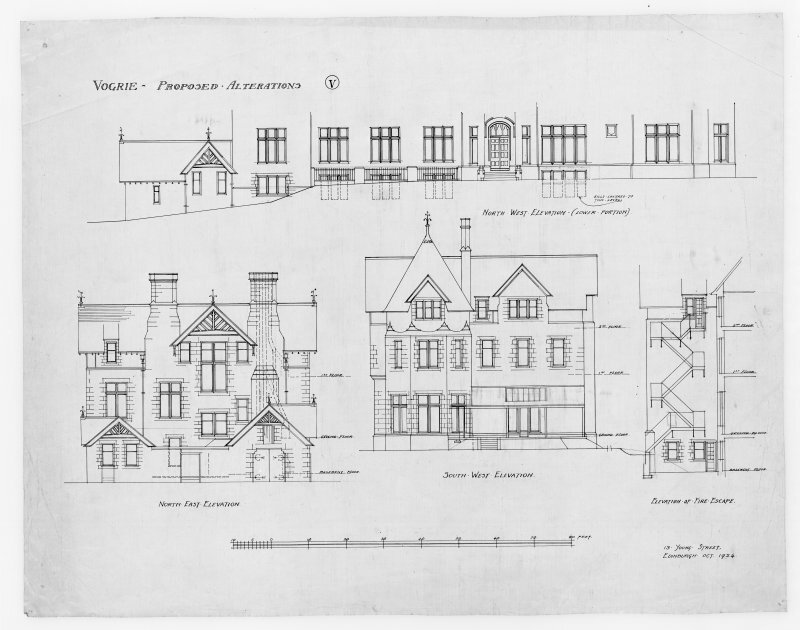 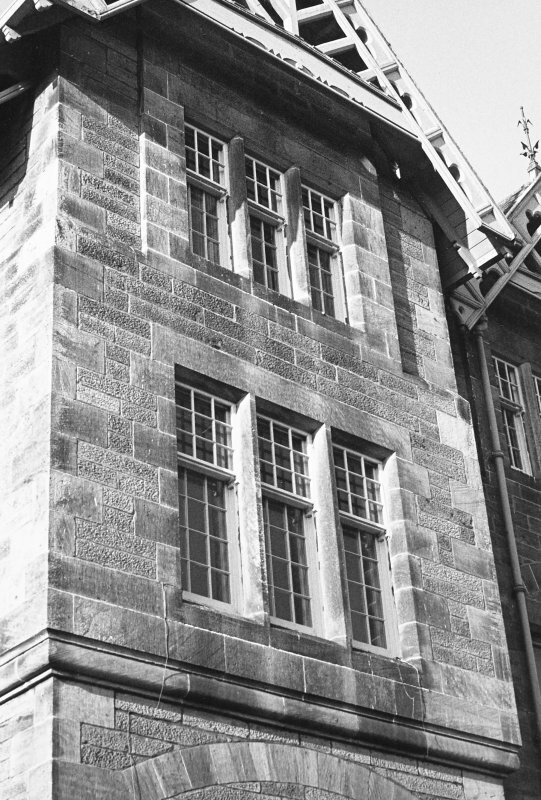 Elevations showing alterations including details of stairs for Vogrie House. 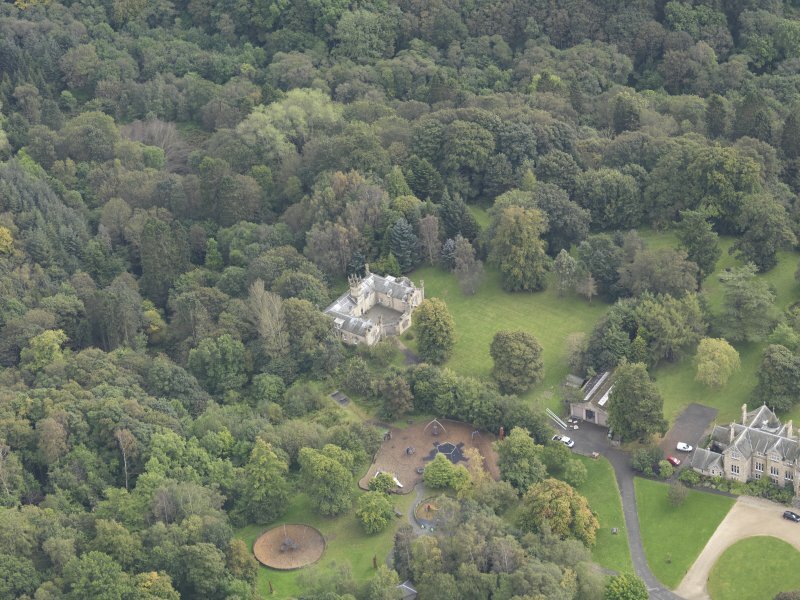 Oblique aerial view of Vogrie House, taken from the NNE. 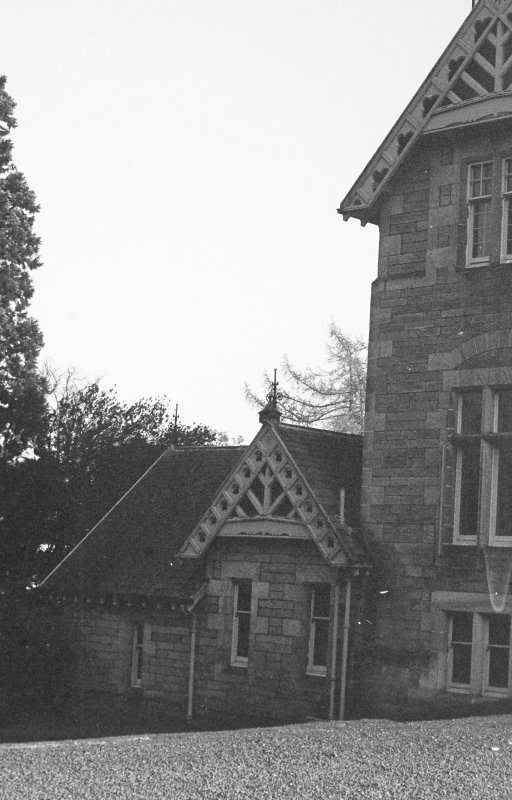 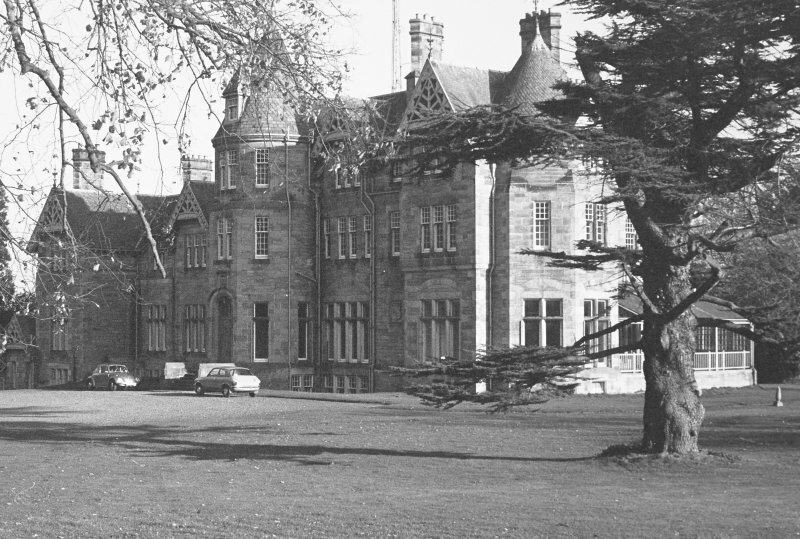 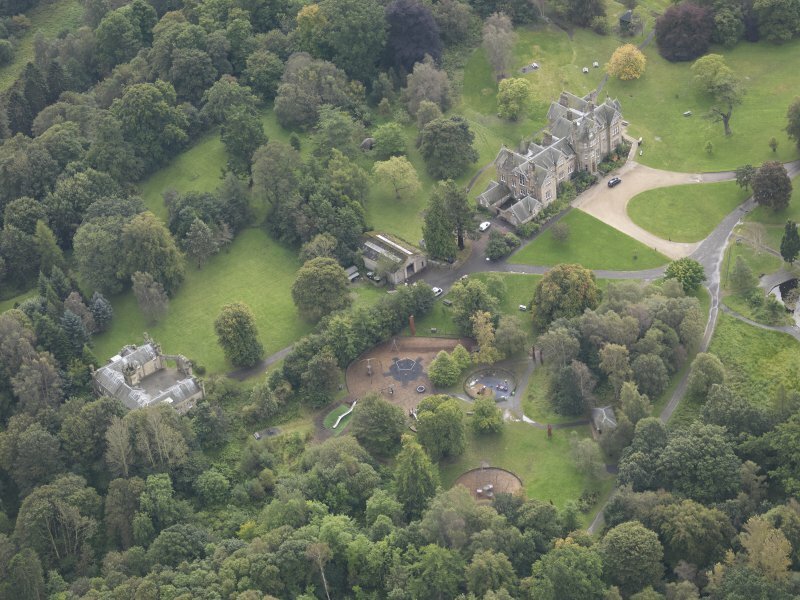 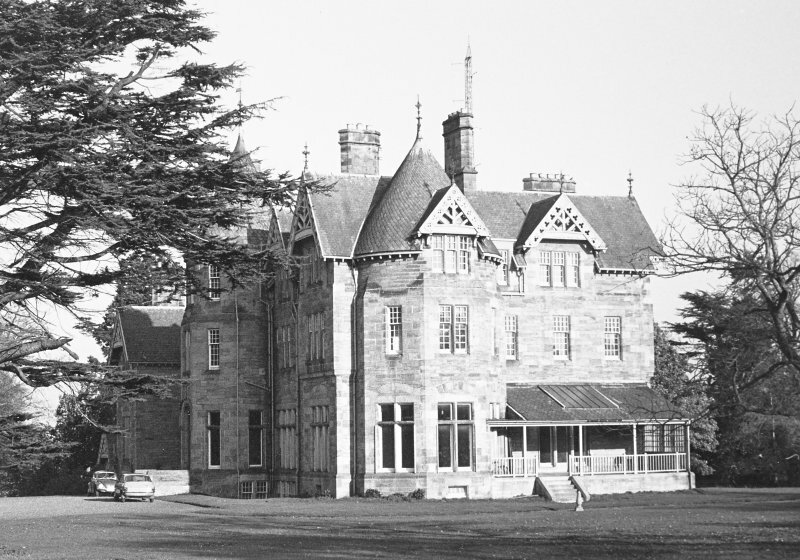 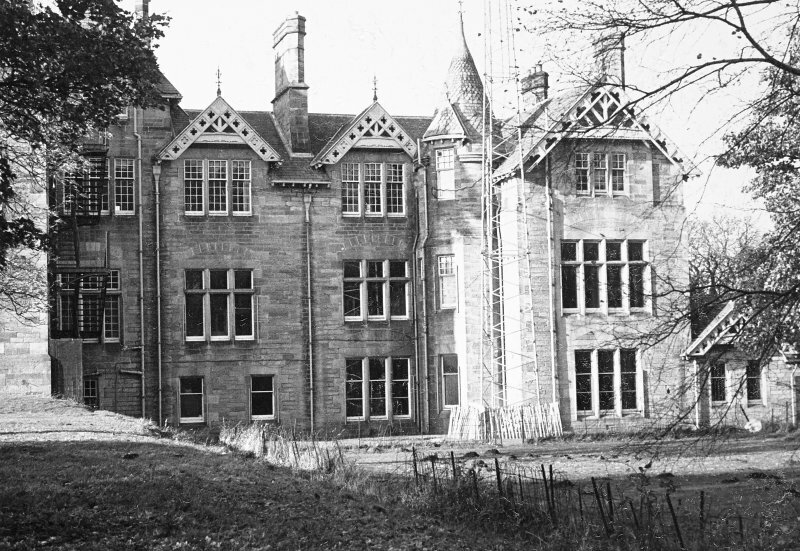 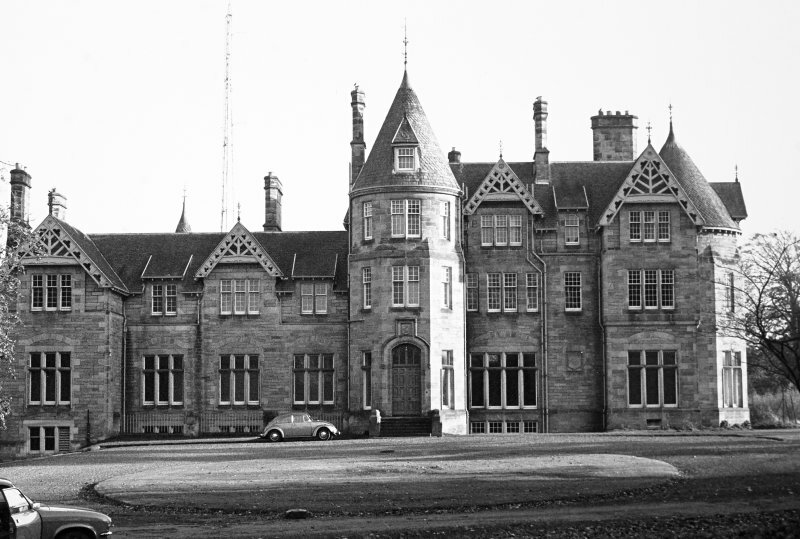 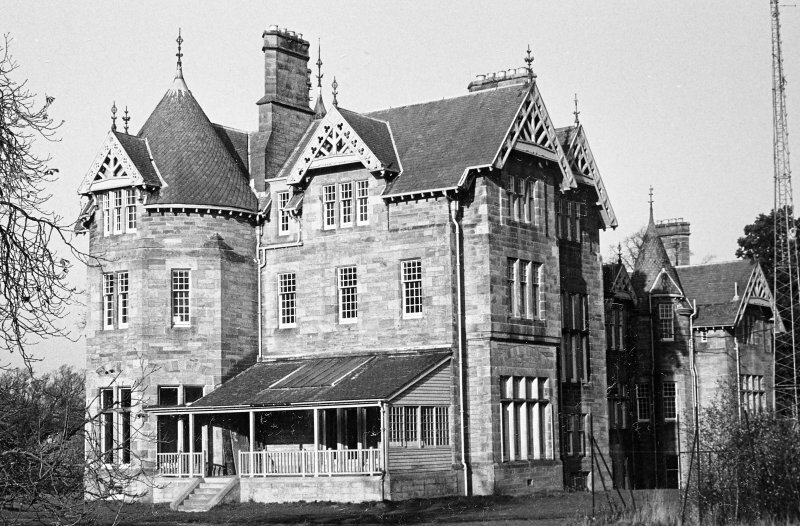 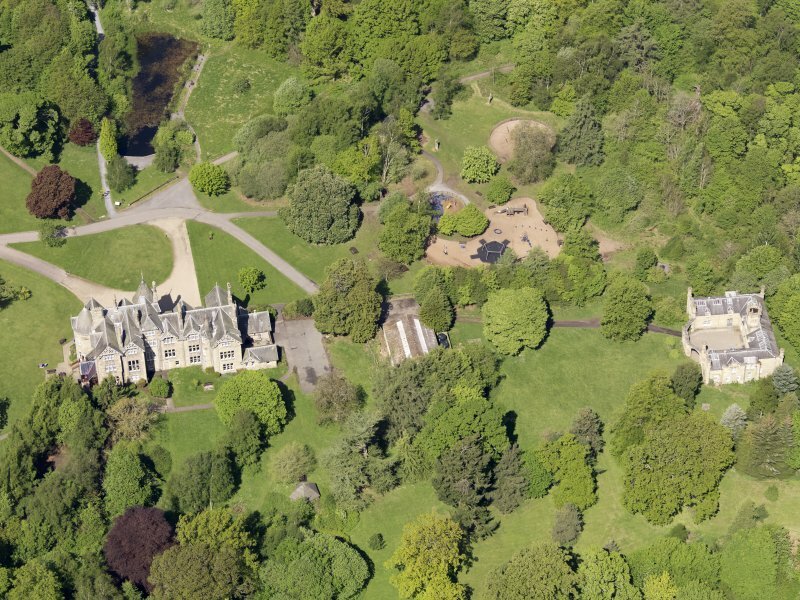 Oblique aerial view of Vogrie House, taken from the SW.